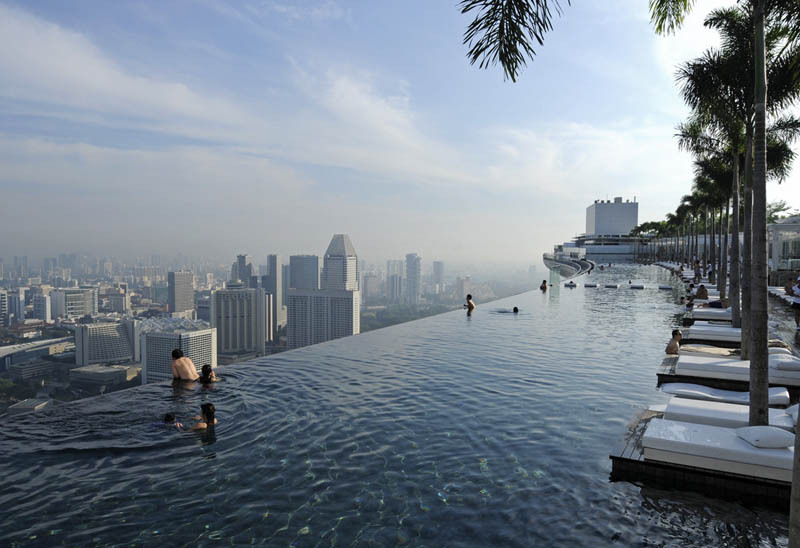 The world’s scariest pool so far has to be the Marina Bay Sands Hotel located in Singapore. 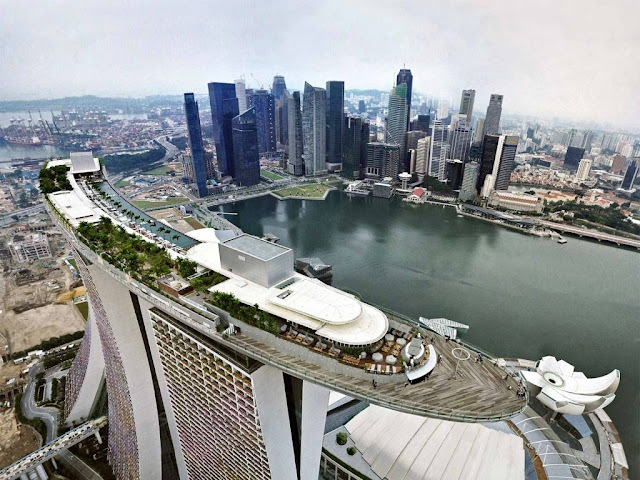 The building was designed by the renown architect Moshe Safdie. The pool is located on the 57th floor on a cantilever platform. Currently it is the world’s largest outdoor pool at height. The building opened in April 2010. With over 2,600 hotel rooms this is the biggest hotel in Singapore.